Join Chicago Taiwanese American Professionals (TAP- Chicago), Korean American Coalition of Chicago, Kollaboration Chicago, Korean American Bar Association of Chicago, OKTA Chicago, and Social Quarters for a screening of OFF THE MENU a film about Asian Americans and their relationship with food. A panel discussion with local Asian American chefs and restaurant owners follows the film. Panelists include Top Chef contestant Beverly Kim (Parachute), Ivan Lee (Aloha Eats), and Paul Ko (Vora). TAP-Chicago has access to a limited number of discounted group tickets at $8 vs. $11 regular price! In OFF THE MENU (2015, USA, 60 min), Grace Lee travels across the U.S. to explore the important role food plays in Asian American communities. From Houston, Texas to New York’s Lower East Side, from Oak Creek, Wisconsin to Oahu, Hawaii, Lee seeks stories that reflect an evolving Asian America. 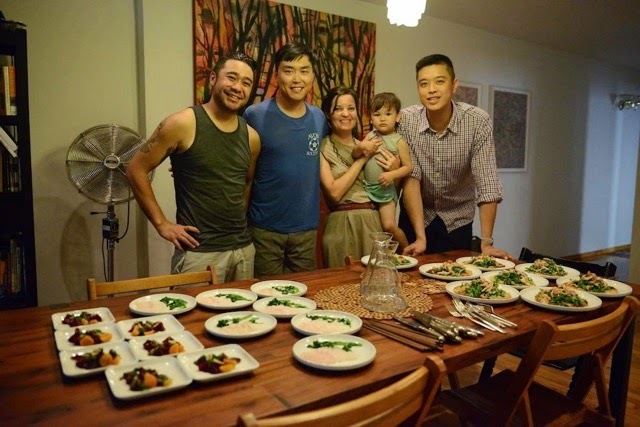 The focus on food serves as a way to explore the deeper connections of culture, family, and ideas of authenticity and adaptation that link all Asian Americans. The film takes us on a cultural journey with thoughtful observations of how traditions around the preparation, sharing and creation of meals bring people and communities together. Lee samples the warm hospitality of a Wisconsin Sikh temple’s feast, checks out the empire of a self-made Texan “sushi king,” and the innovations of a young Manhattan fusion chef. In doing so, she proves the way to the heart of any Asian American community is definitely through its stomach! More information about the film festival is available at http://www.siskelfilmcenter.org/asianamerican2015.